Bring water and a small towel for all classes. Towels are available to rent for $1. Yoga and Pilates classes are done barefoot; Barre classes are done with or without socks, personal preference. Boot Camp, Dance, and Zumba are done with sneakers. 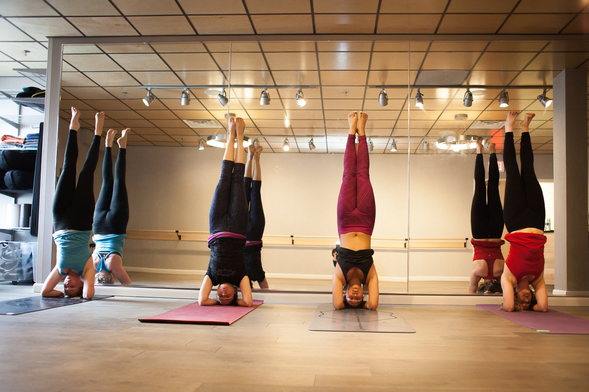 Bring your own mat for yoga and Pilates classes or rent one at the studio for $3. At Studio U we strive to provide you with highly skilled instructors dedicated to helping you build strength, serenity, and focus. Studio U offers small group fitness classes focused on three primary disciplines - Strength & Cardio, Core & Flexibility and Dance - in a softly lit boutique setting with the top instructors in the field. Try something new or fine tune your favorite workout in Studio U's welcoming social atmosphere.